I never realized I had so many questions about animals until I met my brother-in-law, a veterinary radiologist and a devoted pet lover. It was at the first family dinner that my wife's sister brought him to that I began to pepper him with questions about animals. I realized that I had an animal expert in my midst and all of a sudden I started to think of the most intricate questions about animals. My kids joined in and began asking him their own animal questions. Listening to his answers and learning from him was a fun experience and something that we have repeated often at family get-togethers. As a rabbi I can relate to what my brother-in-law must feel when someone learns that he's an animal expert and suddenly a game of 20 questions ensues. That happens to me when I'm at an event and someone (usually a non-Jew or an unaffiliated member of the Jewish faith) hears that I'm a rabbi. They take that opportunity to ask every question about Judaism that they've ever had and I become a living, breathing Wikipedia for them. Well, now a rabbi from New Jersey has published a book that brilliantly answers the most common questions people have about animals with regard to the Jewish religion. 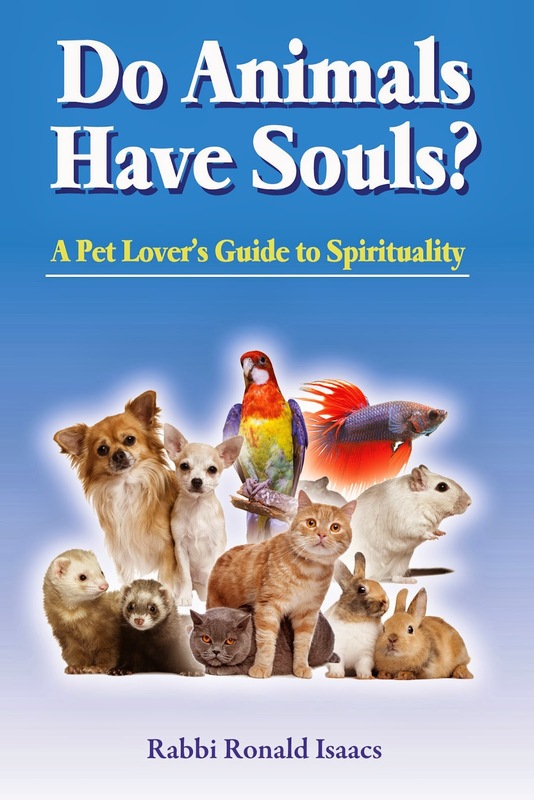 Rabbi Ron Isaacs, spiritual leader of Temple Sholom in Bridgewater, tackles close to one hundred interesting questions about animals in his new book Do Animals Have Souls (Ktav). Only yesterday did I finished reading through every question in this book and I chose a perfect time to do it. Last Shabbat in synagogues all over the world we once again read the story of the creation of the world, in which animals and humans are created and then Adam (the first human being) is charged by God with the task of naming the animals. This Shabbat we read the story of the great flood in which Noah was charged by God with the task of preserving the animals by building an ark. In some congregations on Shabbat Noach, congregants are invited to bring their pets to synagogue. Some rabbis will even offer a special blessing for the pets. It is a good time of the year to remember our relationship with our pets and also our responsibility to treat all of God's creatures with love and respect. The mitzvah (commandment) of Tza’ar Ba'alei Chaim, or Compassion Toward Animals. Rabbi Isaacs has chosen some very though-provoking questions to answer in his book -- from the mundane to the perplexing. Are dogs mentioned in the Bible? Is it permissible to hunt animals for sport? Can I bless my cat? 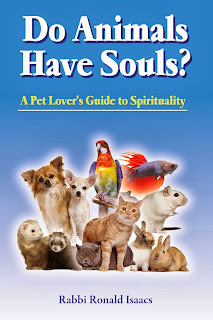 Do animals have souls? Is there an afterlife for my pet? How do I grieve for my dog and what prayer can I say? Rabbi Isaacs is both wise and witty in this book, which is appropriate for adults and children. A pet lover himself, it is easy to tell that he cares deeply about animals. Many of the topics have to do with ways in which we humans can use Jewish ritual to honor our pets. If you've always wondered if animals have souls or if you just wanted to know a little more about animals in general, this book will be great for you.